With your generous donation to www.K9s4COPs.org/donate we can provide police departments the resources they sorely need. 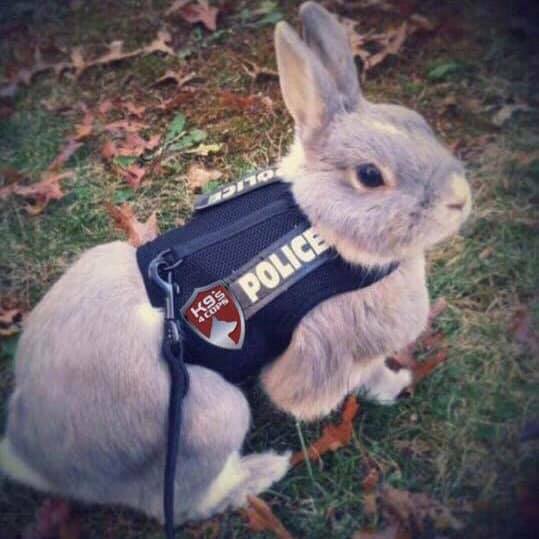 NO BUNNY should go without a K9! 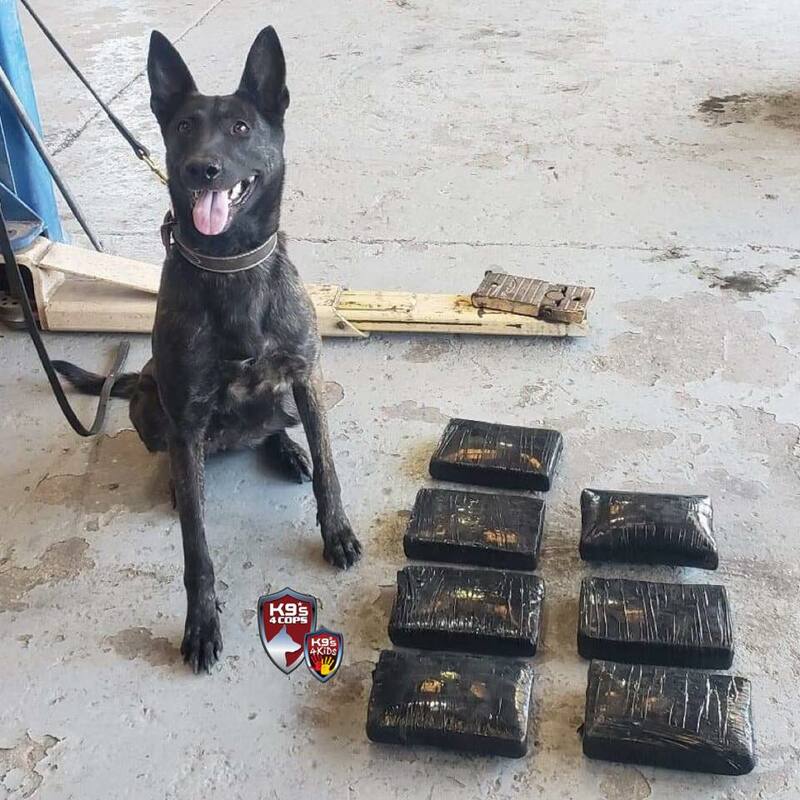 K9 Asha is back with another bust!👏🐾 7 kilos of cocaine with a seizure value of $215,250 was found in a vehicle compartment! 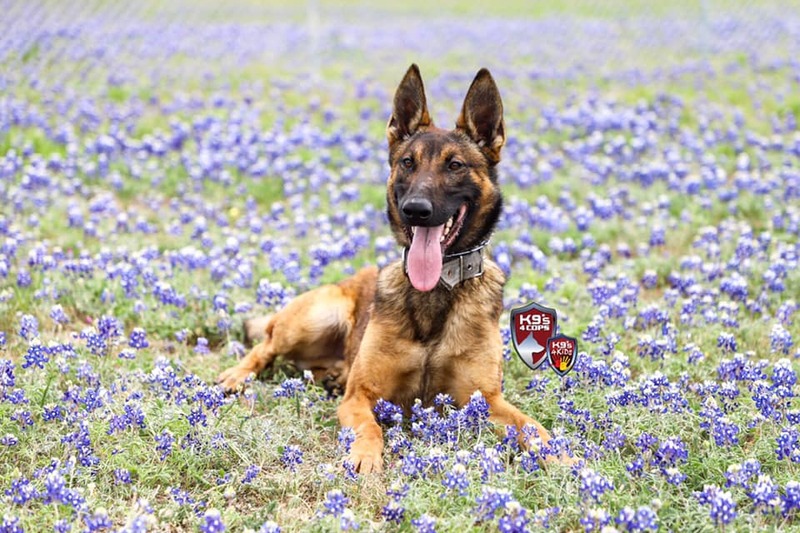 K9s4COPs takes on the #BacktheBLUEbonnets challenge! Welcome K9 “Kaizer” Villarreal Leppke! 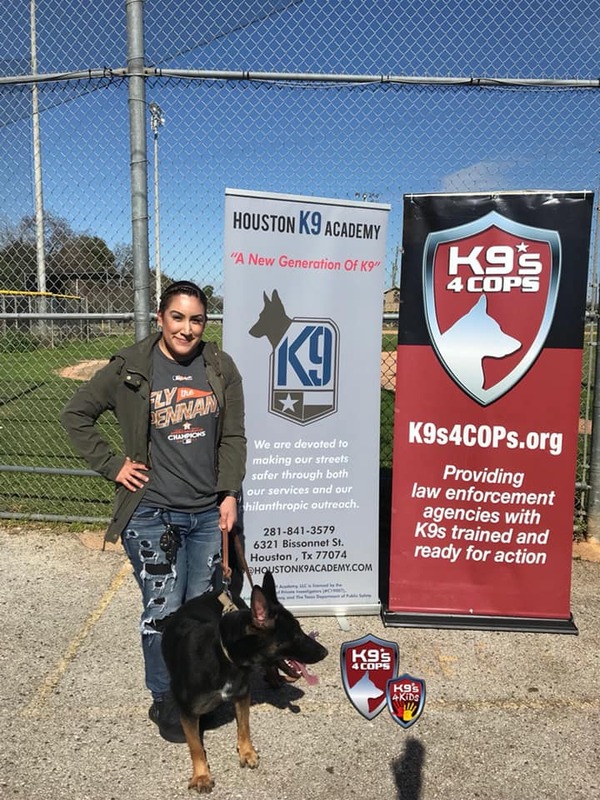 Help us welcome K9 “Kaizer” Villarreal Leppke to our K9s4KIDs family!💙🐾 K9 Kaizer and Officer Andre Cunningham will be protecting the students at Aldine ISD. This team would not be possible without the support of Daniela Villarreal and Bob Leppke. We can’t wait to see this dynamic duo in action! Yesterday, Officer Bobby Ryder and K9 Bucee graduated from Houston K9 Academy! This dynamic duo is headed back to Cedar Hill, Texas to keep our streets safe. Thank you to Buc-ee’s for making this team paw-sible! Please help us welcome K9 Ron and the Burnet County Sheriff’s Office to our K9s4COPs family! Thank you to the Brian Robison Reel ‘Em In Foundation for making this dynamic duo possible! 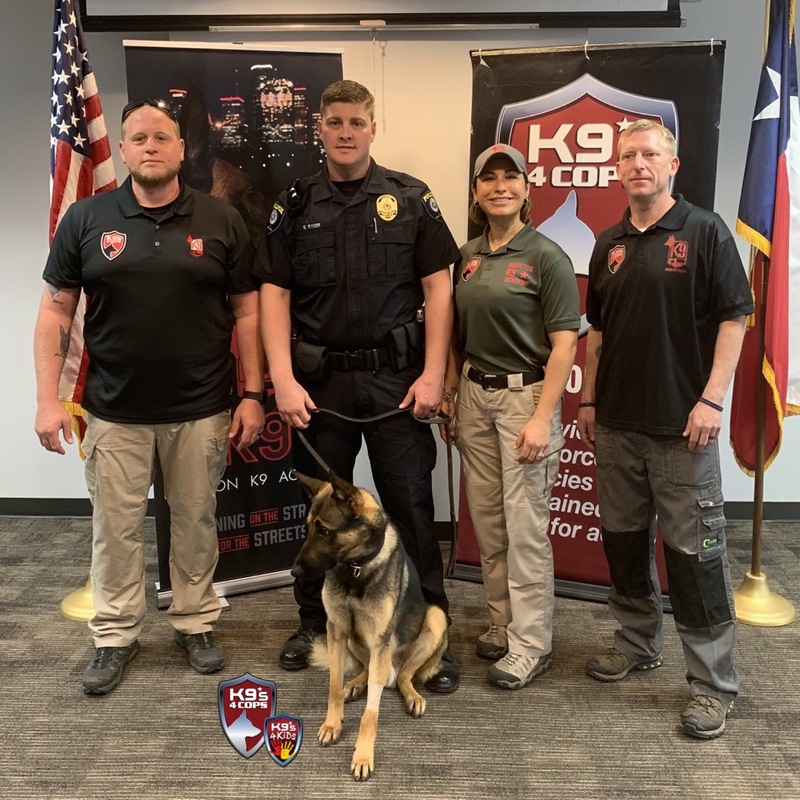 “The Burnet County Sheriff’s Office is pleased to announce that we have been awarded a grant from K9s4COPS, an organization that provides K9s to law enforcement agencies on a grant basis. Deputy Kyle Ciolfi was selected to be our K9 handler and was able to meet and bond with K9 Ron on 2/18/2019. 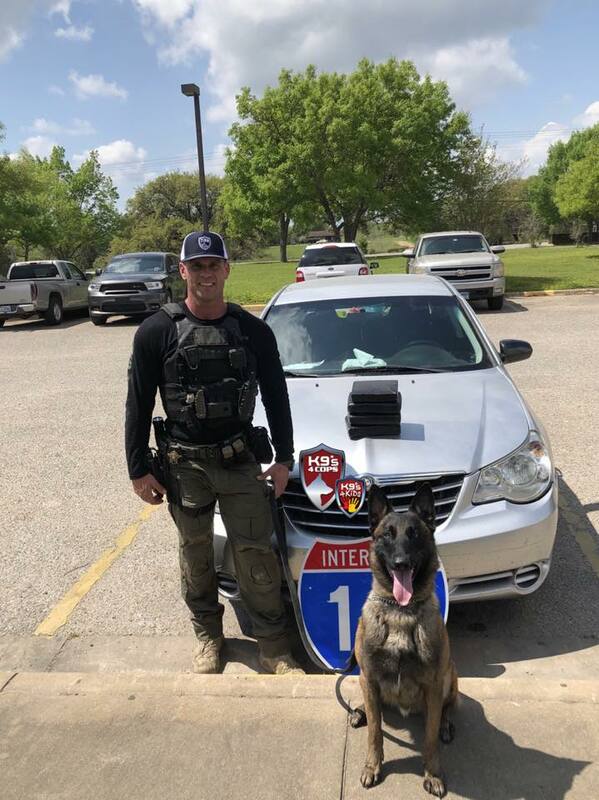 They will now begin an intensive K9 course together at Pacesetter K9 in Liberty Hill that will equip Ciolfi and Ron to perform narcotics detection and tracking functions. 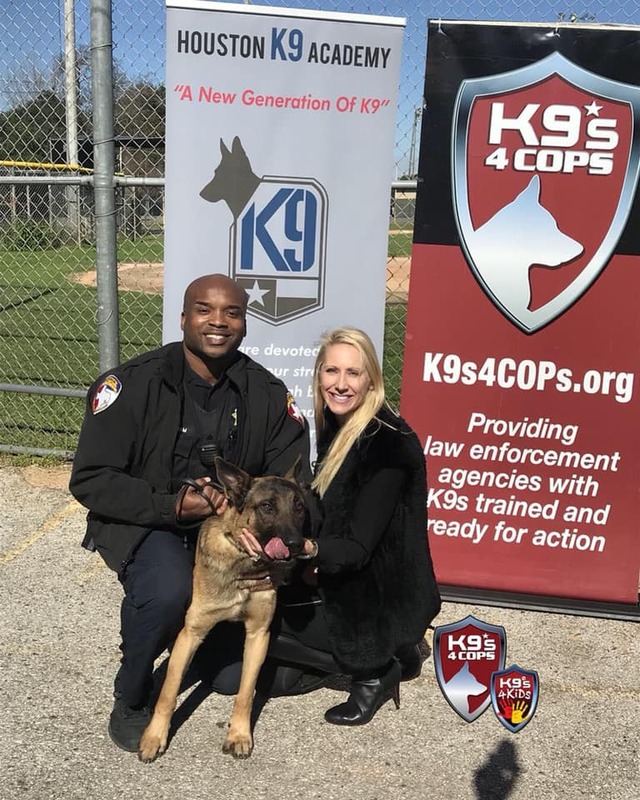 As a part of the grant agreement, Burnet County SO will equip a patrol unit with the appropriate K9 cage, provide a kennel at the deputy’s house, and make arrangements for feeding and medical care for the K9. Hi, my name is Adam Sanders and I am a former K9 handler for 13 years. 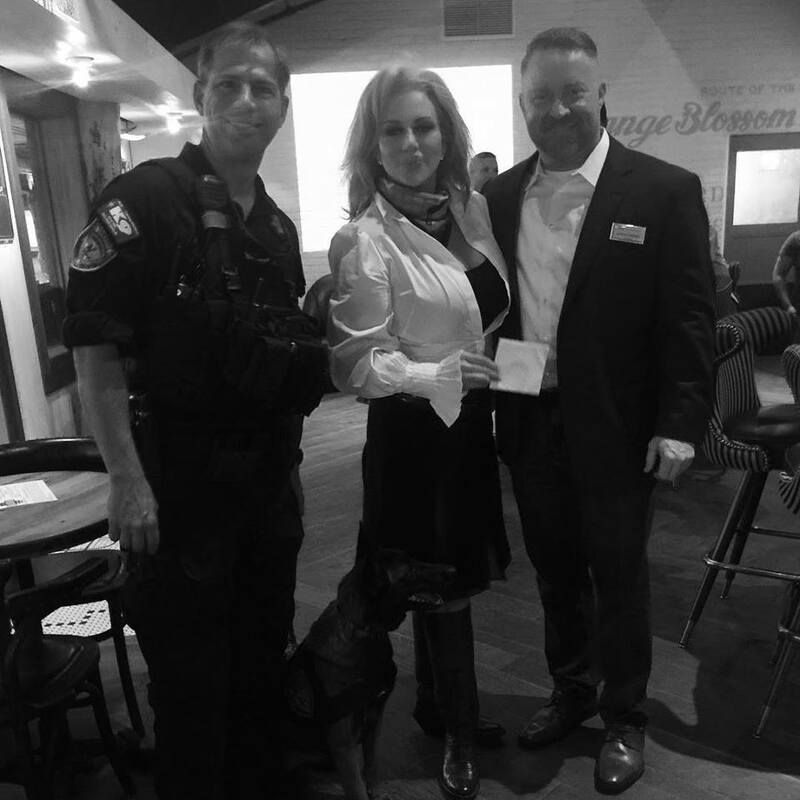 My agency was one of the first recipients of a granted K9s4COPs dog and I had the honor of co-charring the K9s4COPs Olympic Board Committee for two years. 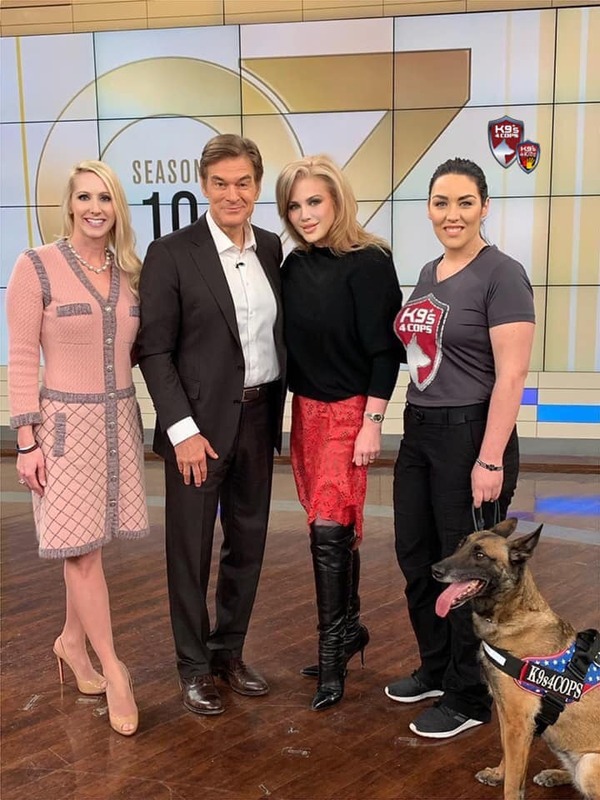 Needless to say, I have first hand knowledge of just how important K9s are in keeping our Officers and society safe, as my K9 partner did save my life one night. 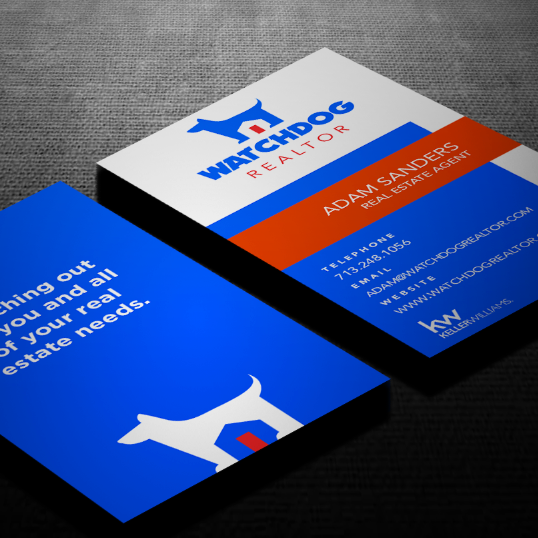 I am now a Realtor for Houston and its surrounding areas. Over this past year I have prayed, researched and pondered on an area I wanted to give back to. During this time, we had two tragic school shootings. One was the Parkland shooting in Florida and of course one all too close to home, in Santa Fe High School. I, like most, was heartbroken and having a law enforcement background, tried to come up with a solution to this problem. That is why I am extremely proud to announce my partnership with K9s4KIDs!! 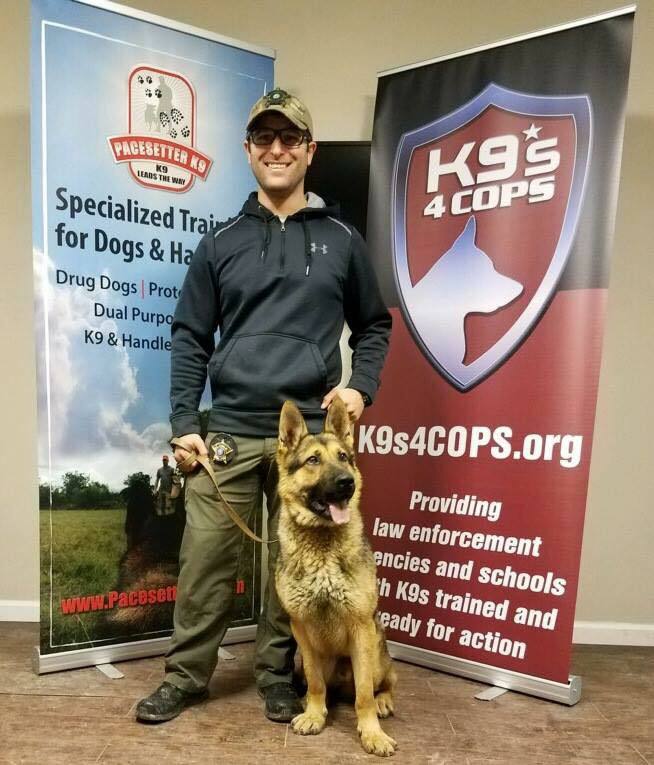 As you probably know the mission of K9s4KIDs is, “To support school districts and college campus police with K9s trained and ready for service.” Not only are these dogs utilized in schools to help deter criminal and contraband activity, they are now being trained to neutralize an active school shooter!! An after action report revealed that in the Parkland shooting they only needed 15 more seconds to get to a safe area and only 30 more seconds in the Santa Fe shooting. These trained K9s are a game changer and are going to save lives. In closing I have one question for you. Who do you know that needs to buy, sell or invest in real estate? I would love to help them. And in helping them I will be able to help K9s4kIDs grant more trained K9s to place in schools all across America. A portion of the proceeds that I make off of every real estate transaction, goes to this great cause.